Capacity: 14 kg (1:9) or 13 kg (1:10). Microprocessor “Touch Plus Control” with display . Possibility of programming, export and import programs through USB memory, without limite. “WASH CONTROL” management software included. -Possible manual dosing for evey 8 signals during the cycle. 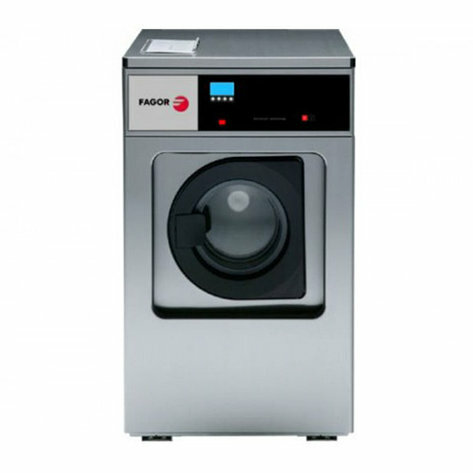 -Minimum washing speed: 15 r.p.m. -Minimum thythm ON-OF: 1 second. Wash and spin speeds are configurable. These machines have electronic control of imbalance with frequency variator, that detects the load uncentered before spinning. No need to be fixed to the floor. Easy to attach automatic dosser dispenser at rear of machine. Water consumption in program nº 2 60º: 168 litres. Elements heating power: 9 kW. Dimensions(packed): 830 x 1.010 x 1.560 mm. Цена: 2 697 867,72 Тг.